“Motherhood is the hardest and toughest job” said one of my friends who had just become a mother for the first time few months back. We talked for over an hour about our respective kids and what they enjoy the most. I just smiled at that time and then we said our goodbyes on the phones promising to take some time to call one another in few weeks’ time. But what she said just stuck in my mind for a next few days. 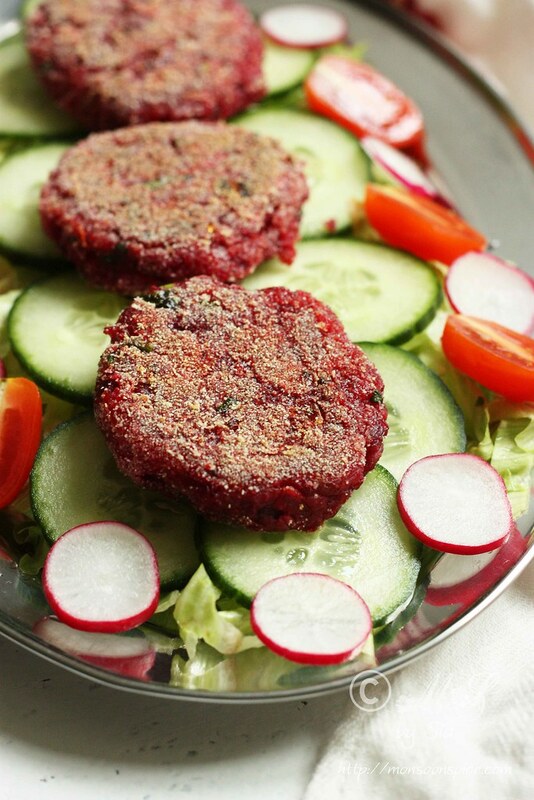 Vegan Spiced Beetroot Cutlets/Patties ~ Pretty in Pink! Motherhood is not a job; it is much more than that! You simply can’t define the roles of a mother as you can in any job description! When you become a mother, you don’t get to be just a mother but a whole lot of things come attached to it as a second nature. A mother wears many hats every single day as her role changes based on her kid’s needs! 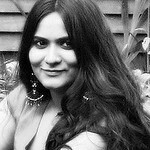 You are a personal chef/cook, chauffer, playmate, best friend, worst friend, counsellor, kiss and hug expert, teacher, soother, dance partner, super hero, super villain, boo-boo fixer, storyteller, champion tickler, toy repair expert, wrestling coach, search and rescuer of lost toys, art teacher, Mrs/Ms fix-it-all, speech specialist, separation anxiety counsellor, personal shopper, punch bag, stain removal expert, housekeeper, cleaner, professional singer of nursery rhymes and lullabies, scary monster under the cot/inside the wardrobe patrol officer, head cheerleader and many other roles! Once you become a mother, its 24/7 duty around the clock for the rest of your life, or until you manage to kick your kids out into the bad, bad world. And then my mom says it’s still not over as the worry is always lurking just under the surface! Even if your desk is overflowing with pending jobs and project deadlines, you can sometimes leave them behind at workplace and come back home for relaxing. But such things don’t exist in mother’s life. Jobs let you go home at the end of the day and you are entitled to take vacations every year, but vacation is a word that doesn’t exist in a mother’s dictionary! We do this all without vacations, sick days, raises or appraisals. Monetary payment is absolute zero from the little boss who demands your attention every waking minute and sometimes even when he is fast asleep throwing his arms around your neck in abandon and his legs pushed up on your stomach. He demands you to open your eyes as soon as he is awake and keep you on your toes till he decides to hit the bed! 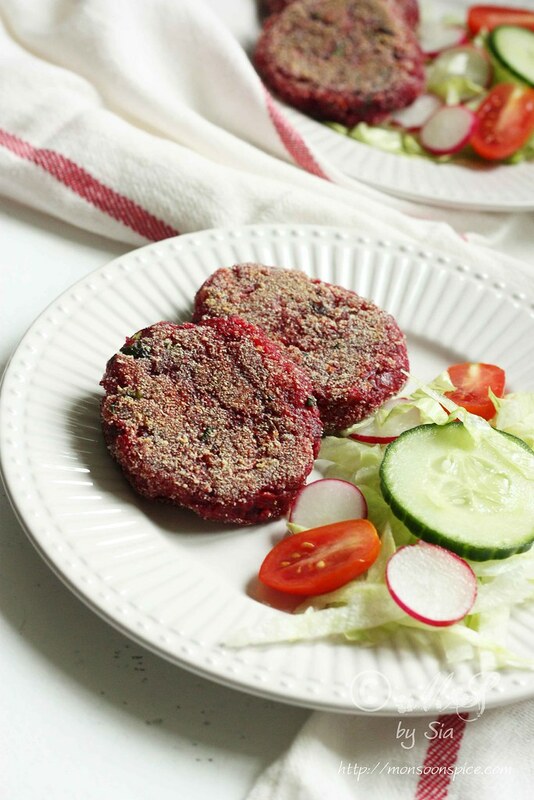 Vegan Spiced Beetroot Cutlets ~ Dig in! Unlike jobs, you don’t get any kind of skill set training. Just when you think you have at last understood the nitty-gritty of the current job and feel quite confident and competent about managing it quite well, you are moved to next set of challenges and new assignments as your little boss gives you new projects with pretty short deadline. From being a competent stage, you are right back at the trainee stage with no trainer in sight! And what more, there is no pay increase or even a change in title! No job sends you into the depth of despair at one moment and to the exalted peaks of joy, love and pride at the next moment as the way motherhood does. There is no benchmark to measure your success or failure as a mother. And there is no consistent measure of achievements as some mothers feel like failure if their kids don’t get admitted to the top schools and some mothers find their success when their kid is fully potty trained! :) Motherhood is never meant to be an easy walk in the park, nor is it a rocket science. Yes, motherhood is an extraordinary journey that even the greatest poets and writers fail to describe. It is a magical journey... Among the many roles a woman plays in her life, I honestly believe the role of a mother is the most beautiful and the honest one! So labelling it as a job doesn’t do any justice to the larger than life role of a motherhood! One of the roles I immensely enjoy is to cook for my little boss. The best reward is to see the empty plate and if I am lucky, to find him asking for second helping. 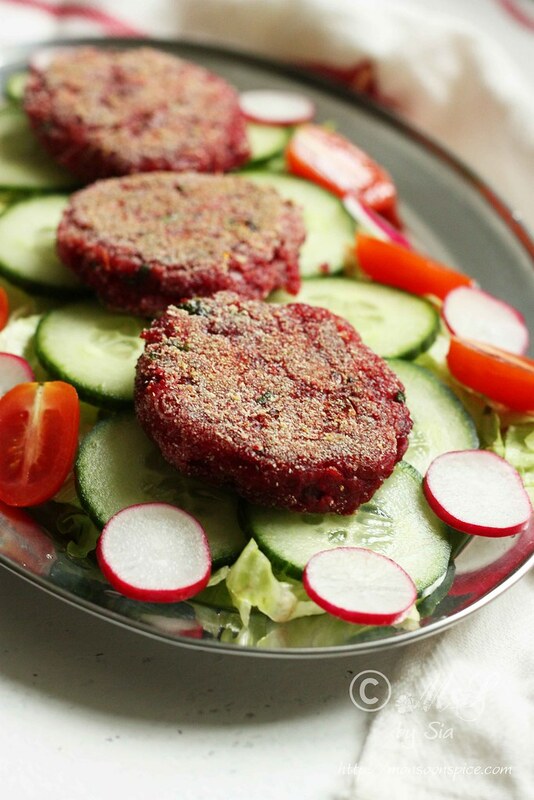 One dish that he always asks for the second serving is Vegan Spiced Beetroot Cutlets or Beetroot Patties. 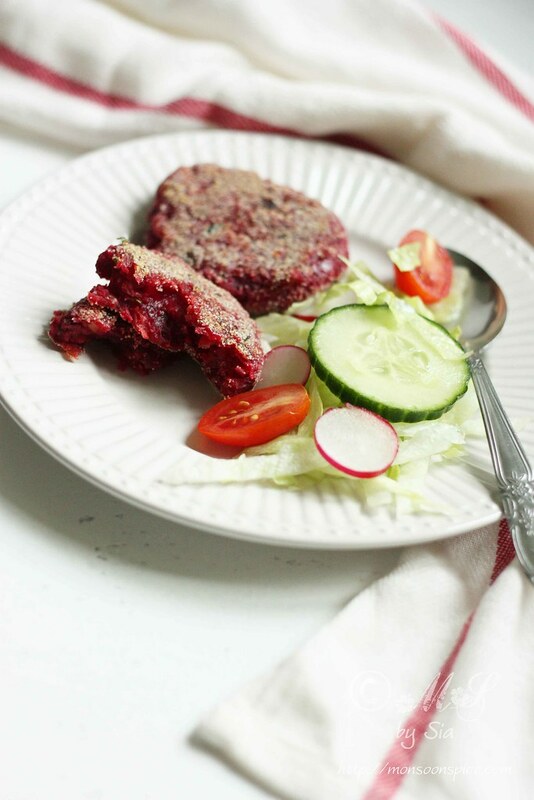 Mashed beetroots spiced with aromatic spices, shaped into patties and coated with fine semolina for crisp texture and then pan fried to golden brown perfection is a very much loved food at our home. Since red and pink is Lil Dumpling’s current favourite colours, he is happy to find food in that colour served in his dinner plate and I am quite happy that he is enjoying something that is not just delicious to eat but also quite healthy and nutritious. 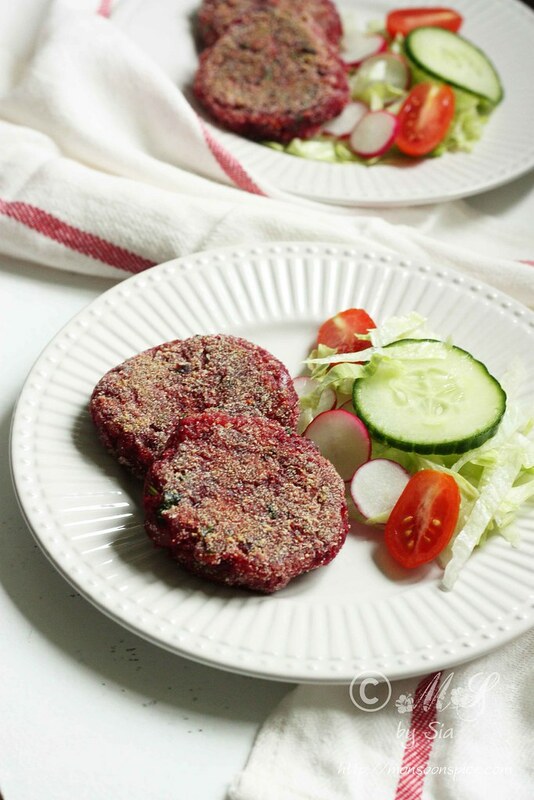 You can serve these Beetroot Cutlets/Patties as appetizers or even as a meal with some salads or slaw or even as a patty for burger. 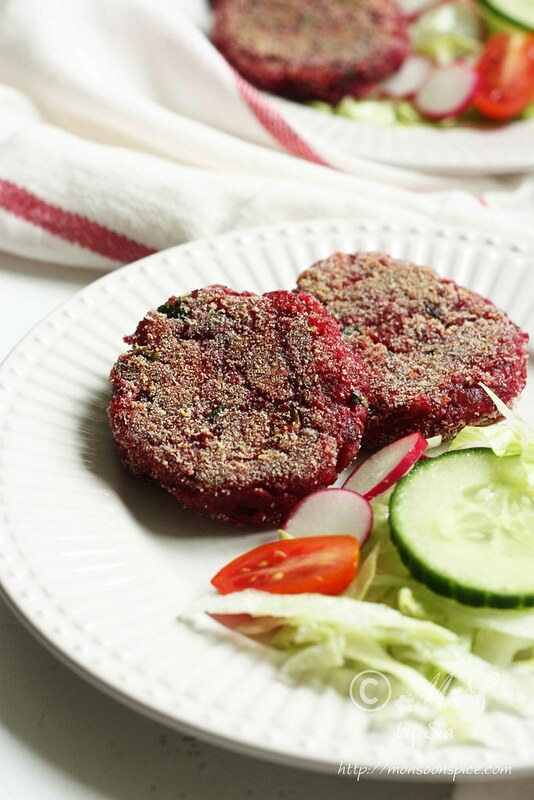 The vibrant coloured Spiced Beetroot Cutlets/Patties are quite delicious with the sweetness of the beetroots and the flavours of the spices. 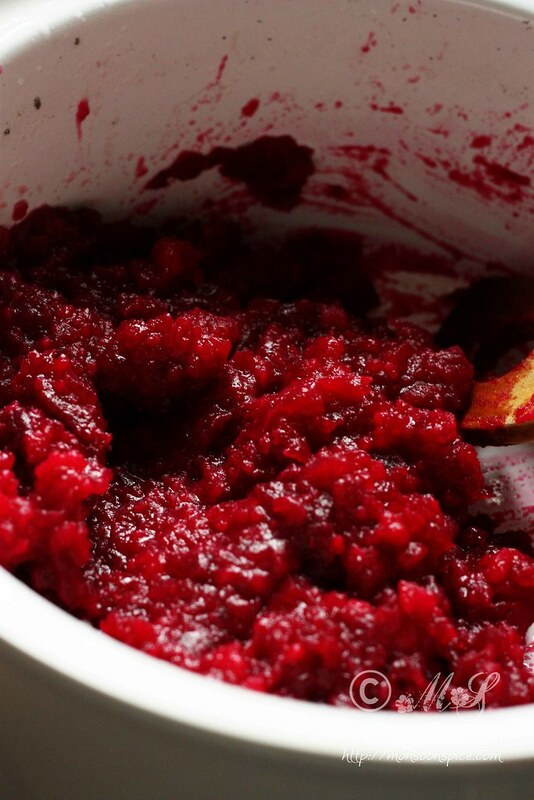 Cook the beetroots in enough water until it’s soft and can easily be mashed. I prefer cooking them in a pressure cooker as it speeds up the process. 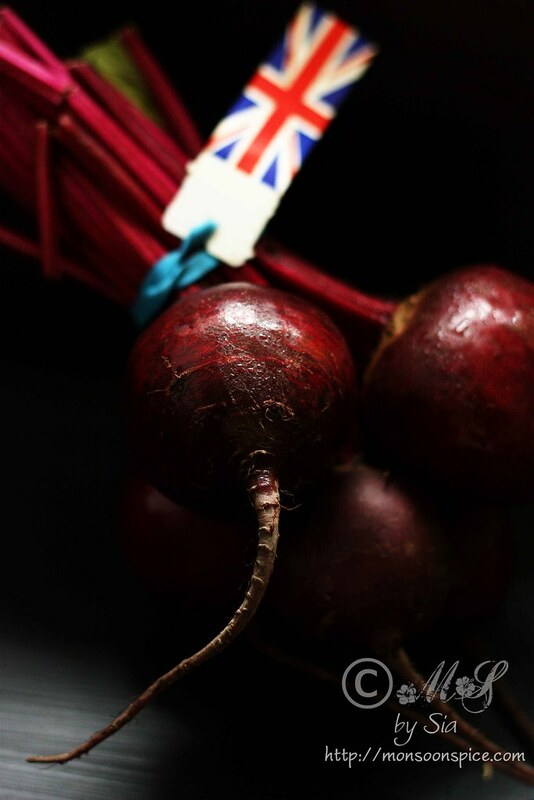 Once cooked, drain all the water and mash the beetroots and set aside to cool down to room temperature. Do not worry if there are little lumps as they will add texture to the patties. Heat ½ tbsp oil in a pan and add cumin seeds to it. When cumin seeds start to sizzles and colour deepens, add finely chopped onions and sauté till they turn pink. Add ginger-garlic paste and fry it till their raw smell disappears, about 1½ mins. Next add turmeric powder, coriander powder, cumin powder and chilli powder and fry them for 30 seconds. 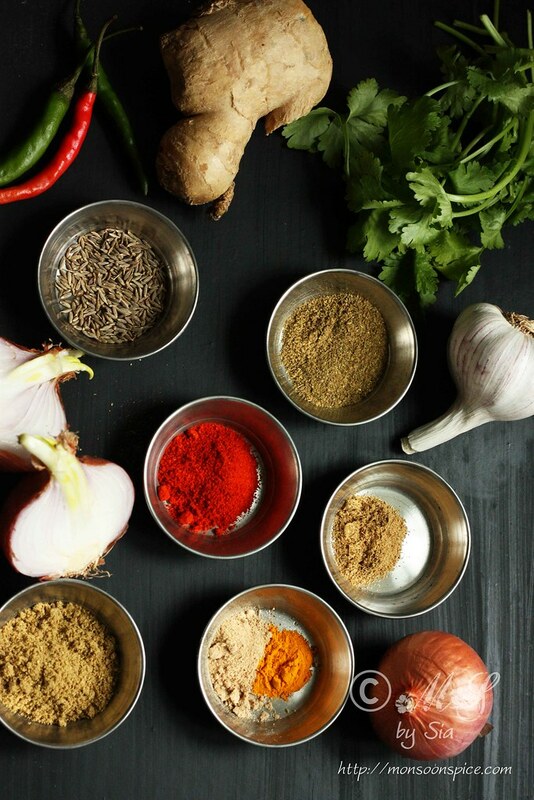 Turn off the gas and mix in garam masala and dry mango powder and set aside to cool the mixture to room temperature. 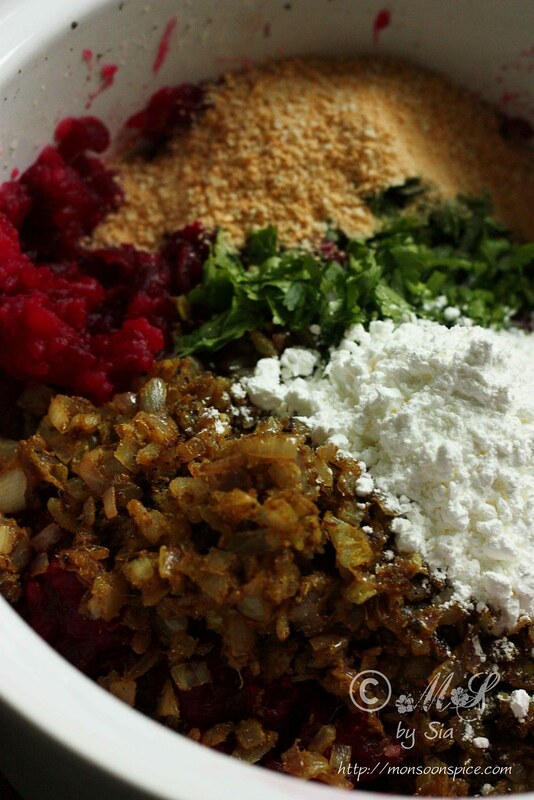 Once the onion mixture has cooled down, mix it with the mashed beetroots. To this add the bread crumbs, corn flour, chopped coriander leaves and salt to taste and mix them well. The mixture for patties is ready. Now it’s time to cook the cutlets or patties. Heat the flat griddle or grill at medium flame. Pinch large lemon sized ball from the beetroot mixture and flatten it by pressing them in between the palms to about 1 inch thick patties. Dust the patties in a plate of semolina and make sure that both the sides are covered well with the semolina. Place 2-3 patties on a griddle or grill and drizzle a tsp of oil each around the edges of individual patties. Let them cook until the side turns golden brown and crisp. Gently flip it around and drizzle a tsp of oil and cook them until the other side too turns crisp and golden brown. It takes around 4-5 minutes of cooking time per batch. 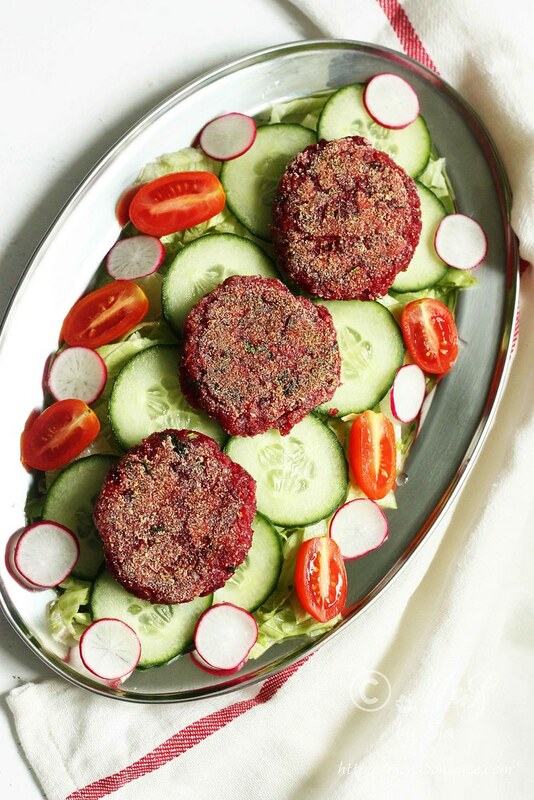 Serve the hot Spiced Beetroot Cutlets or Beetroot Patties hot with any salads of your choice or with a burger bun. You can also serve them on their own with a dash of Tomato Ketchup or any spicy Chutney of your choice. 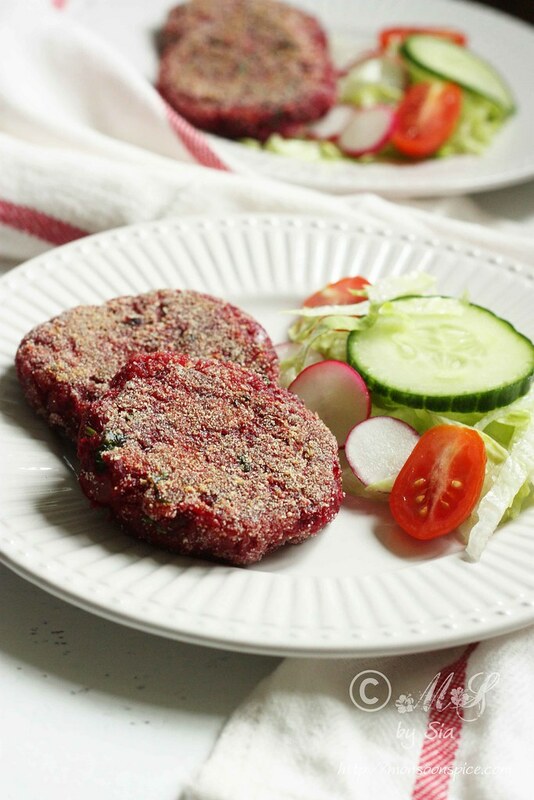 Beetroot Cutlets/Patties are quite soft to handle when compared to potato patties as they lack the starch. Hence we add little amount of corn flour as a binding agent. You can replace the semolina used for coating with the breadcrumbs. The semolina gives the crisp texture to the patties. The amount of oil used per patties can be as little as a teaspoon per patties to a tablespoon. I use non-stick griddle for pan frying and so all it takes a tsp or two of oil per patties. Nice write up (so true too!) and beautiful recipe Sia. Will try, since I cannot eat wheat will try subbing with mashed potatoes. Beets are so healthy and hearty. THis cutlet looks yummy and delicious. Would be good on burger buns. They looks delicious sia!! I love beetroot patties.. I totally love ur writing sia.. I have seen a lot of ur posts related to ur kid n hubby... U have such a cute family.. Its really great that you work full time , having a kid and maintain such a beautiful blog.. really inspires a lot of new bloggers like us.. I tried this today - came out great :) Thank you!